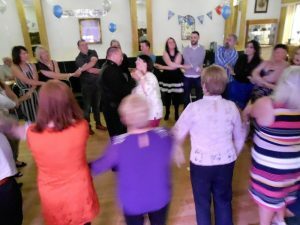 Saturday 12 May 2018 at Tarbolton Masonic Club. A 25th Wedding Anniversary for Franz and Anne. Here they are doing Auld Lang Syne at the end of a perfect evening of dancing, speeches (lots of cake) and plenty of laughs.